This is a quick logic math question for school going kids. 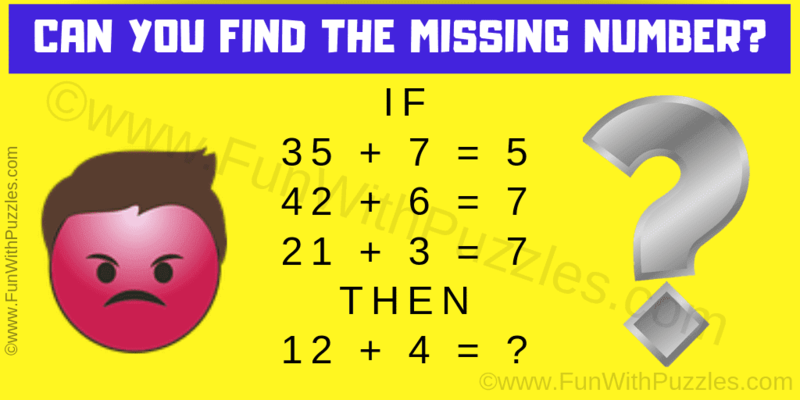 Solving this math logic question will help you to improve your mathematical skills and logical thinking ability. Study the given logical equations carefully and find the value of the missing number. So can you solve this logic math question? Answer of this "Quick Logic Math Question", can be viewed by clicking on the answer button. If A+B = C then answer to this logic math question is A/B i.e. 12/4 = 3.